Photographer Colin Boyd Shafer launched the Cosmopolis Toronto project in August 2013. I heard of it on Facebook. And wrote to Colin who had this crazy ambition of photographing an individual from every ethnicity that had made Toronto home. That was one staggering project, both in the immensity of its scope and its execution. I believe by the time the project ended a couple of years later, he had managed to photograph individuals from 200+ different countries who were now Torontonians. Colin wanted everyone who was interested in participating in the project to explain why they’d chosen Toronto as their new home. My answer was simple: Toronto is cosmopolitan; it's vibrant, encourages enterprise, is tolerant, accommodative and gives everyone a chance to live their dream – our hometown Bombay (Mumbai) once shared these characteristics. Toronto is home because it has welcomed me, accepted me, helped me create a space for myself as a writer. Colin responded immediately and accepted me as a part of the project. The subject had the choice of selecting the venue where s/he wanted to be photographed. 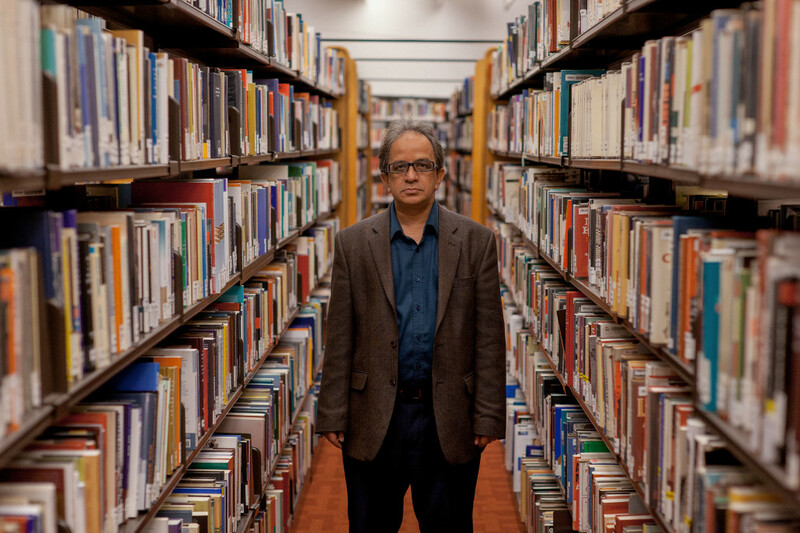 I choose the Toronto Reference Library, because “Toronto gave me the opportunity to become a writer. While I was a journalist and a communications person for many years in India, in Toronto I wrote fiction for the very first time in my life.” The subject was to also choose something that linked them to their past. I choose a photograph of Eros Theatre from the 1950s. At the photo shoot at the Toronto Reference Library, Colin instructed me that I wasn’t allowed to smile. The photo is still on the site. You may see it here: Cosmopolis Toronto Website. Then, a couple of months later, he arranged for a video shoot where he interviewed some of the participants. I was among the handpicked few to be interviewed, asked to explain my two home cities – Bombay and Toronto. It was an interesting experience. 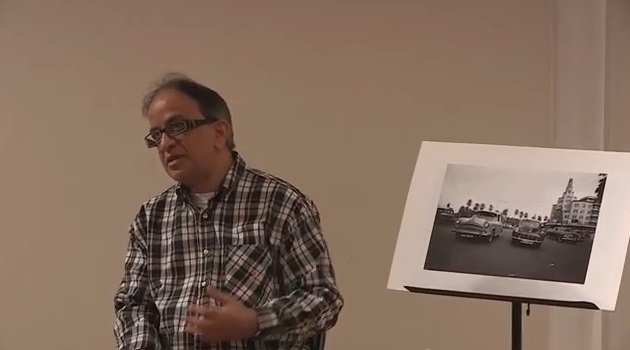 You may see the short interview here: Cosmopolis Toronto YouTube. The project went on to acquire larger dimensions and became a part of Myseum Toronto and the photographs were exhibited in all Toronto libraries. In 2015, Colin finally produced a book Cosmopolis Toronto: The World in One City. It was launched at a glittering event at the Toronto Reference Library. Colin has kept himself busy with other interesting projects after Cosmopolis Toronto. Also in 2013, MG Vassanji and Nurjehan Aziz involved me in the third edition of the Festival of South Asian Literature and the Arts. It was one of the best in a short-lived series. MG Vassanji and Nurjehan Aziz did everything to make the festival truly global in its content. 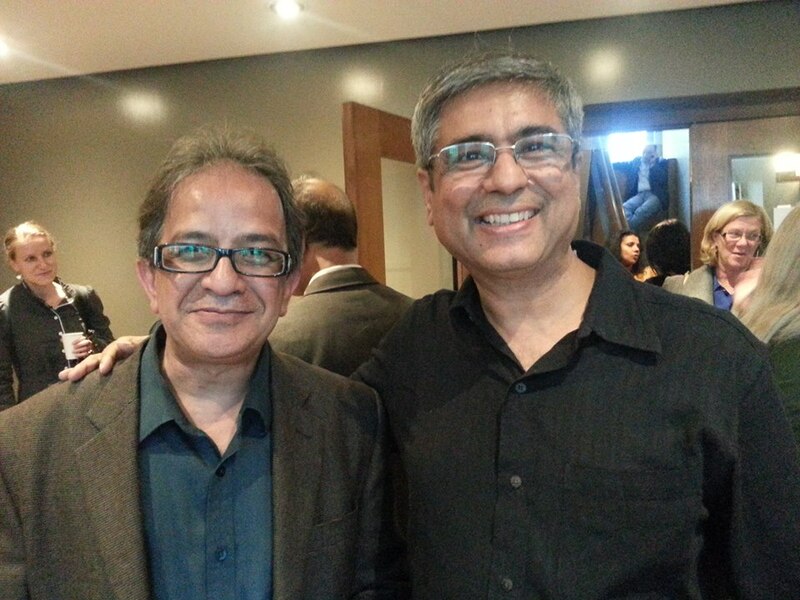 FSALA was “a Canadian arts festival with a difference, promoting writers from South Asia, Africa, and the Caribbean, and those not writing in English, who though major figures in their own countries are not always known to the global ‘mainstream’." 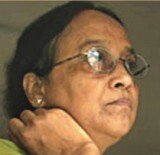 If the previous edition had Girish Karnad and Mahesh Dattani, this edition had Selina Hossain, the Bangladeshi author and Prasanna Vithanage, the Sri Lankan filmmaker, whose Oba Nathuwa Oba Ekka (With You Without You) was shown at the festival. It was the first time I saw Anjali Patil, who has since gone on to become a known face in Indian cinema. I also met Sharankumar Limbale, a Dalit author of global repute. I translated one of the short pieces that he read at the festival from Marathi into English and posted it on this blog. It’s been one of the most accessed blog posts. There were others, too, and the line-up included globally renowned authors. What I remember the most of the festival was how I was to get Selina Hossain from the airport and both of us spent two hours at the airport without meeting each other. Finally, she took a cab, reached the hotel, and was justifiably upset when I met her later that evening. But she granted me a great interview that I posted here. In 2013, Mahesh Dattani, unarguably the only Indian playwright in English who has acquired global fame, visited Toronto. There were seminars in his honour, staging and reading of his plays. Towards the conclusion of his hour-long talk, Mahesh said he feels most connected to three of his creations – Dancing Like a Man (1989), Morning Raga (2004), and Where did I leave my Purdah (2013) - these creations encompass his love for dance, music and theatre. “They form my triptych,” he said. 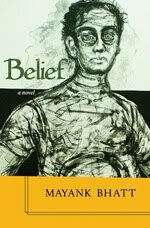 Overcoming my general reticence, I said the plays that really form his triptych, plays that he will really be remembered for are Final Solutions (1993), On a Muggy Night in Mumbai (1998), Seven Steps Round The Fire (1998) all of which evocatively deal with the issue of minorities (religion, sexual orientation, gender). Mahesh admitted he hadn’t really thought of them as such, but agreed that they do form a unit. 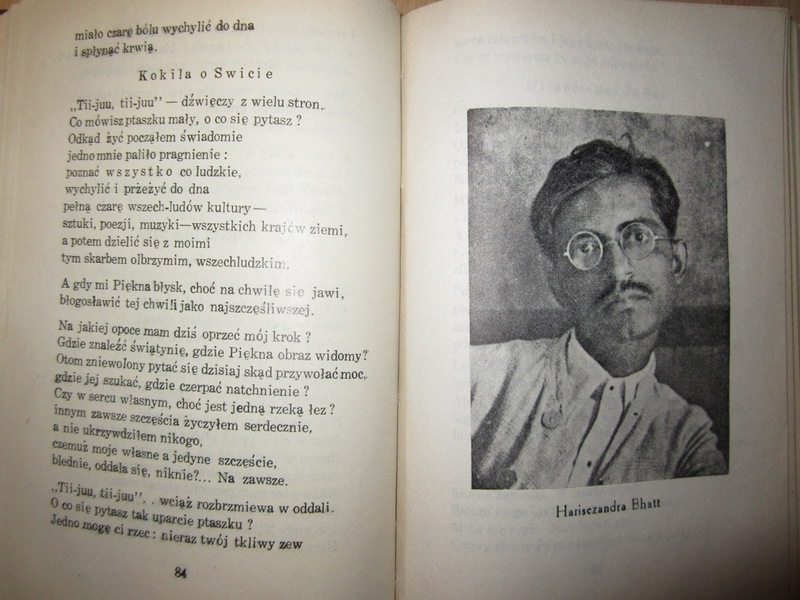 In 2013, Aleksandra Skiba a librarian at Pomeranian Library (The Central Library of the West Pomeranian Province) in the Polish city of Szczecin sent me an email inquiring about my grandfather Harischandra Bhatt, an eminent poet in Gujarati. 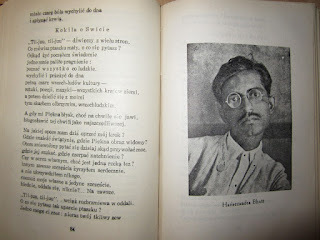 She was researching Wanda Dynowska – Umadevi and Maurycy Frydman – Bharatanda, and came across references to Harischandra. Intrigued, she wrote to me to find out more but ended up giving me more information about my grandfather than I’d known. Umadevi, who was Harischandra’s creative collaborator for a brief period, claims that Harischandra was in love with a young Christian woman and even wrote a poem on Jesus Christ for her. It’d be pointless to recap the content of the two blogs – one of which is a guest post by Aleksandra. But I do urge you to read them.